I am curious what you baste the chicken with? 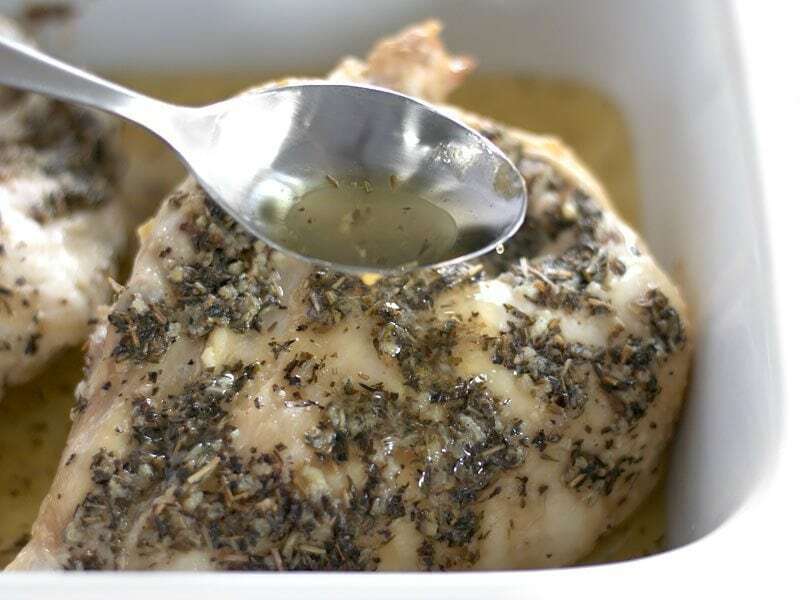 Does the butter + chicken breast yield juices or do you add water to the casserole dish? Yes, the butter and juices from the chicken pool in the bottom of the dish as it cooks. 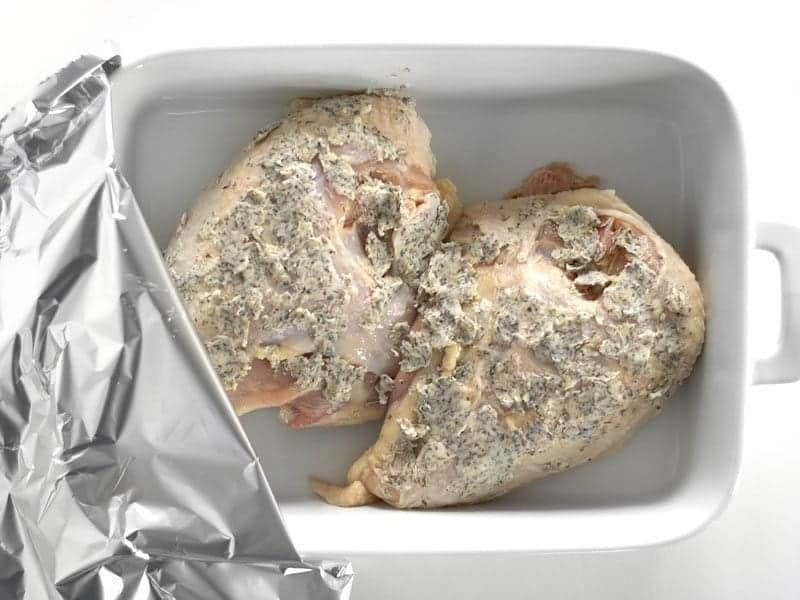 It’s very important to keep that foil on tight so this liquid does not evaporate. 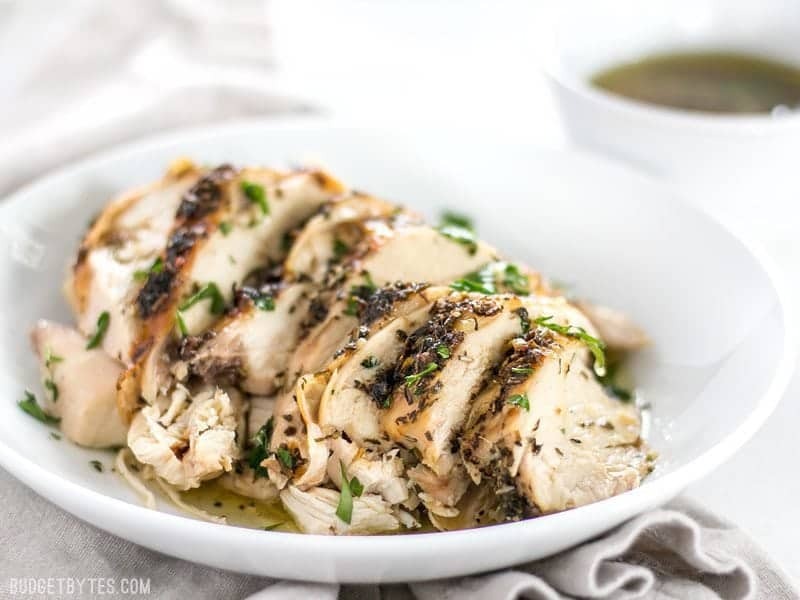 Can I use boneless, skinless chicken breasts using the same cooking times ? No, unfortunately this method doesn’t work with boneless, skinless breasts. Do you have suggestions for butter substitutions? I definitely like butter best for this recipe because of the sweetness and creaminess. Changing it would change the outcome quite a bit, IMHO. This is one of my go to dinners! 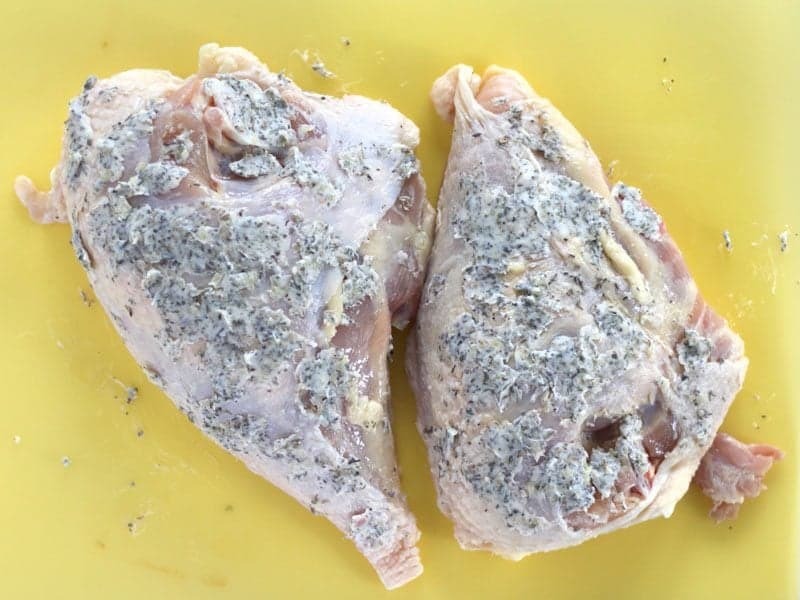 Split breasts are cheap, and although this takes awhile to cook, prep time is super quick and easy and the meat is so tender and juicy. I’ve made this several times exactly as the recipe says, and it delivers every time. Highly recommend! My husband and I absolutely love this dish. I was wondering if you had any suggestions for adapting this dish for a slow cooker? I was really looking for that super tenderness that comes with a slow cooker, and was unsure if this could be a recipe that would have that versatility. Any suggestions or guidelines you could offer would so greatly appreciated! Thank you for such a great recipe! Happy 2018! 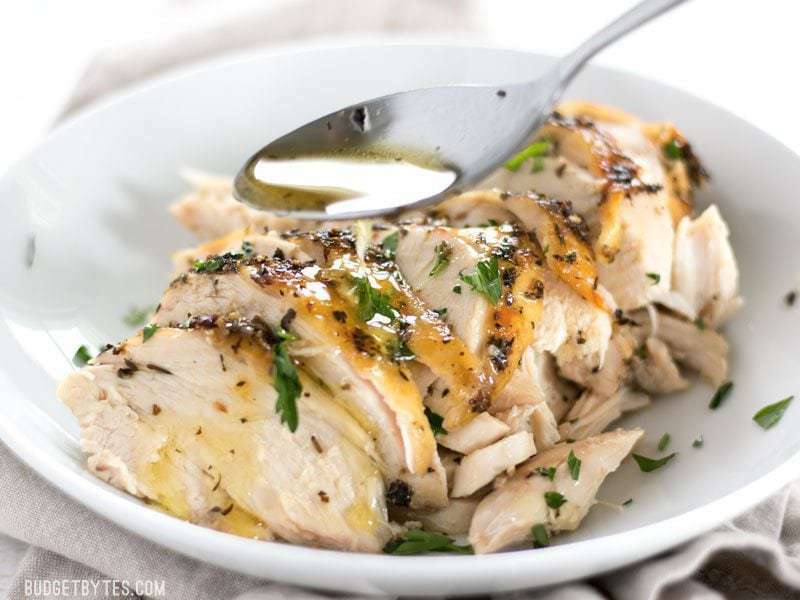 I think what I would do is add maybe a cup of water to the slow cooker, place the chicken breasts on top, and cook for 8 hours on low. After that you can transfer them (carefully) to a baking sheet and place them under the broiler to crisp up the skin. I do something similar with my pressure cooker and it’s AWESOME. I just haven’t tried it with the slow cooker yet. Thanks for getting back to me! 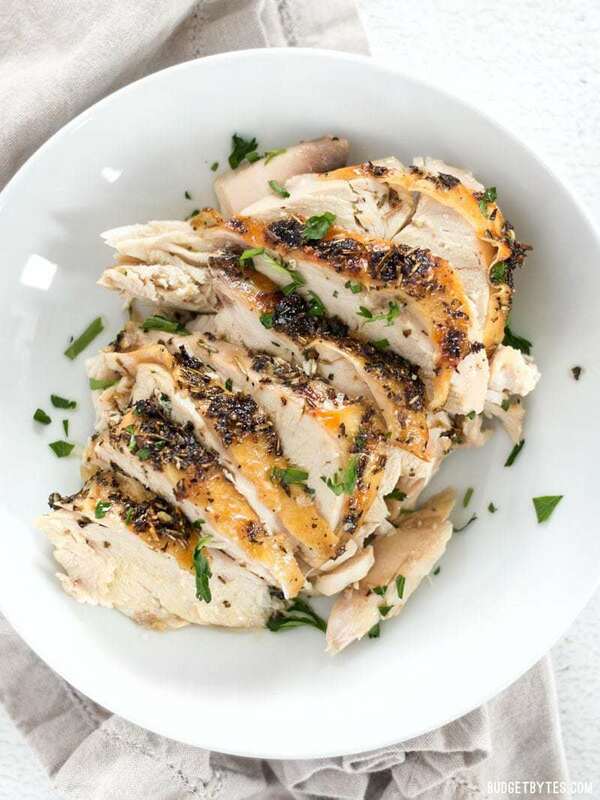 Just one quick question for clarification: would you do the seasonings on the chicken prior to placing in the crock pot? Like lather them up as normal and then put your water in and lay on top then? Or would you wait until the end? Thank you again for your help! Yum!! I made this last night for our New Years Eve dinner and it was amazing!! Will be making again and again! Followed the recipe exactly! :) Served it with Balsamic Roasted Asparagus and Mashed Potatoes. Hi Beth, I use onion powder in everything. You need to get some. 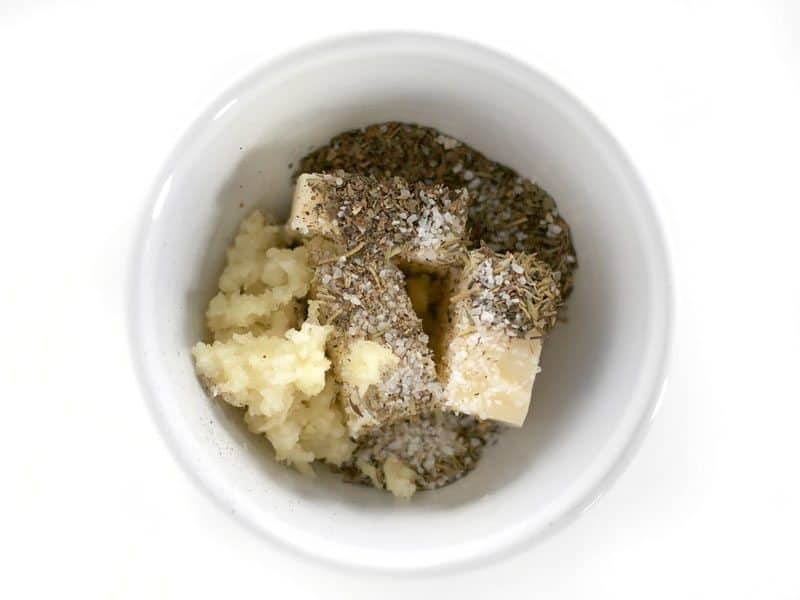 I have learned that garlic powder, onion powder, salt and pepper is perfect seasoning for all meats. 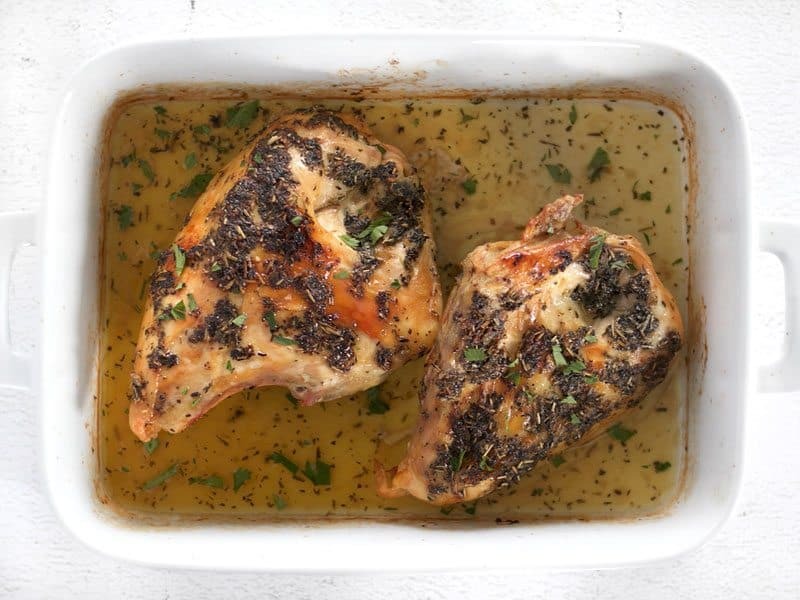 Yes you could use chicken thighs, but you may need to adjust the cooking time. I made this today for Thanksgiving because my daughter isn’t eating turkey or ham anymore. I was very disappointed. If I do make it again, I will use half the amount of basil. It was very strong. I am planning on this tonight but with boneless skinless breasts. Dondi, what temps did you cook at and for how long? With all these wonderful reviews it’s hard not to try it especially when it sounds and looks so delicious!! I made this for my son and I, it was wonderful. I took the remaining to work for lunch and shared it with a coworker. She liked it so much it has been requested that I cook it again so, now I’m making it for my department. Is the cooking time the same if the recipe is doubled? I doubled this and made it tonight for a group. Everyone loved it! The skin was crispy and the meat was juicy. I didn’t use the exact same spices as in the recipe, but I did follow the exact technique. I’ll be repeating this again for sure. Thank you! I am not sure if I left a comment on this already, but this recipe is fantastic. I usually make 3-4 chicken breasts at a time and then slice and freeze the meat in small packages for quick meals later. Really good with jasmine rice. I have used the Instant Pot method, and did not think it turned out quite as tender. I definitely recommend roasting if you have the time. 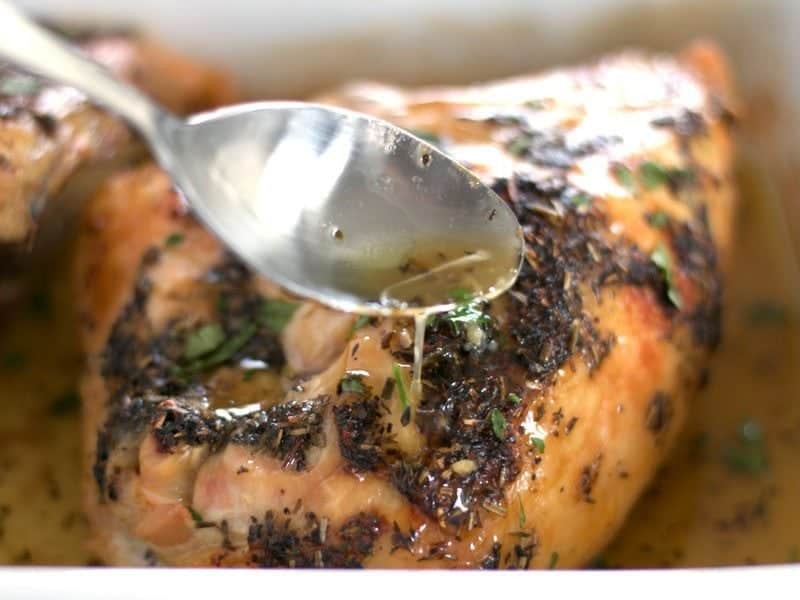 This is one of the best recipes for chicken I have ever had! 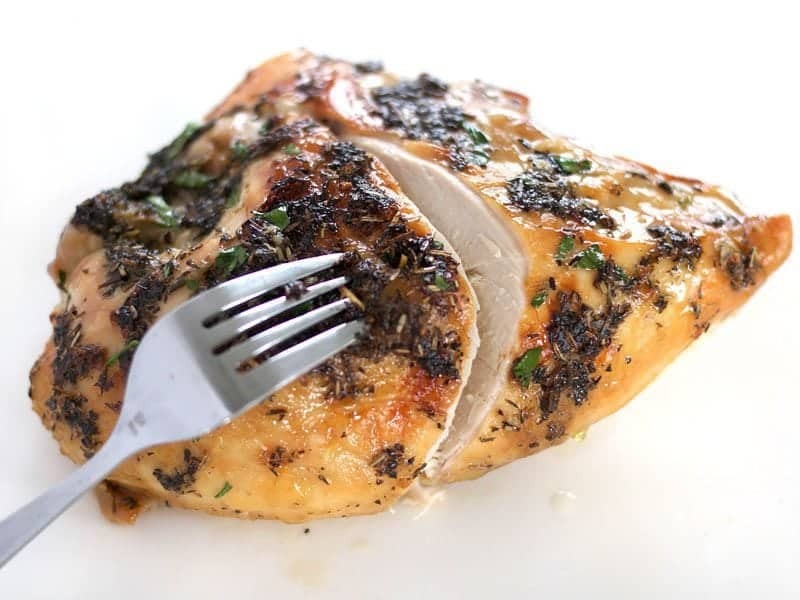 What cooking time did you use for the chicken breast? I’m trying it tonight with boneless skinless breast, a little concerned about cooking times. Any suggestions? 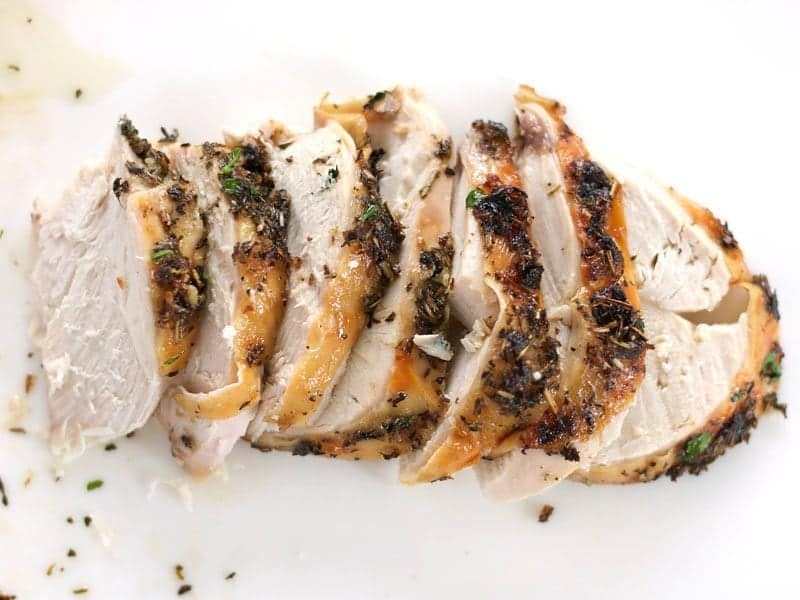 How long would you suggest cooking turkey breasts?